Nate Cullinen, formerly of Bay Village, has been selected to join the National Youth Boating Hall of Fame. 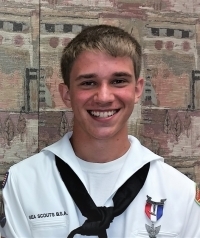 He is pictured here in 2015 as a member of Sea Scout Ship 41. On Sept. 24, the Spirit of America Foundation announced the establishment of the first National Youth Boating Hall of Fame and Nate Cullinan from Bay Village was selected as one of four inductees. In the 24 years of the Spirit of America Foundation's existence, this new national honor has been presented to the first four young nominees for their truly inspiring dedication to boating and water safety education and the manner in which they have gone above and beyond to share their knowledge with others at such a young age. The Spirit of America Foundation instills confidence and fosters the spirit of teamwork in our nation’s youth, including developing self-esteem while nurturing responsible behavior and positive, lifelong ambitions. Hall of Fame inductees epitomize the meaning of our mission: "We shall teach the way our children learn." In seventh grade, Nate completed the Spirit of America Youth Boating Course in 2009, sponsored by the Bay Village School District. He came into the class as a very good sailor and was very good in all areas of the curriculum. Nate continued to serve as a student helper in grades 8-12 as a student in the Bay Village Schools. Nate was always there to get boats ready, install mast floats on sailboats, and prepare boats for winter storage. His senior year he was hired by the maintenance company at Whiskey Island Marina to help with boat maintenance for the summer. 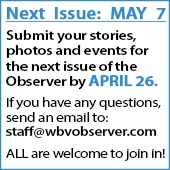 During his high school years he was involved in Boy Scouts of America (BSA) and earned the rank of Eagle Scout in 2013. He attended Sea Base in the Bahamas sailing for a week in the Abacos. Another year, he attended Sea Base in Florida Scuba Diving in the Keys. In addition to Boy Scouts, Nate was very active in Sea Scout Ship 41. He reached the highest rank in Sea Scouts of Quarter Master, which is like Eagle Scout in BSA. He was selected with another Sea Scout to represent the Northern Ohio area to compete in the Koch Cup International Regatta in Newport, California, and placed in the Kiwi Division. Nate worked with intercity youth who had never sailed before as a chaperone with Project YESS, a maritime leadership experience, sponsored by the Cleveland Rotary Club on the tall ship Dennis Sullivan. Nate graduated from Bay High School in 2015. In 2016, he graduated from two programs at the International Yacht Restoration School (IYRS) in Newport, Rhode Island. His degrees are in Composite Technology and Marine Systems. Upon completion of the programs at IYRS, he interned at Hall Spars in Bristol, Rhode Island, building spars along with parts for SpaceX and Boeing, and also C&C Fiberglass where he worked on the new J-Boat J/121. He built the production hull and deck molds and also infused hulls. He is currently employed by R&W Rope and Rigging Solutions as a marine rigger working on masts, standing and running rigging, along with sail control systems on a variety of vessels from dinghies to yachts. Splicing is an important part of rigging. Nate can splice anything from marine line to stainless wire for traditional standing rigging as well as for other professions. Nate has impacted many students as a volunteer while in high school. He is a great example to fellow students in the Sea Scout Program. He has made the marine trades his life work as he graduated from IYRS and continues to work in the marine industry. Nathan Cullinan is a positive example of the impact that the Spirit of America curriculum and program can have on young people. Nate is the son of Tim and Heidi Cullinan of Bay Village and he currently resides in Rhode Island.